Benjamins are pleased to bring to market this two bedroom detached bungalow in the sought after location of Wolds Drive, Keyworth. 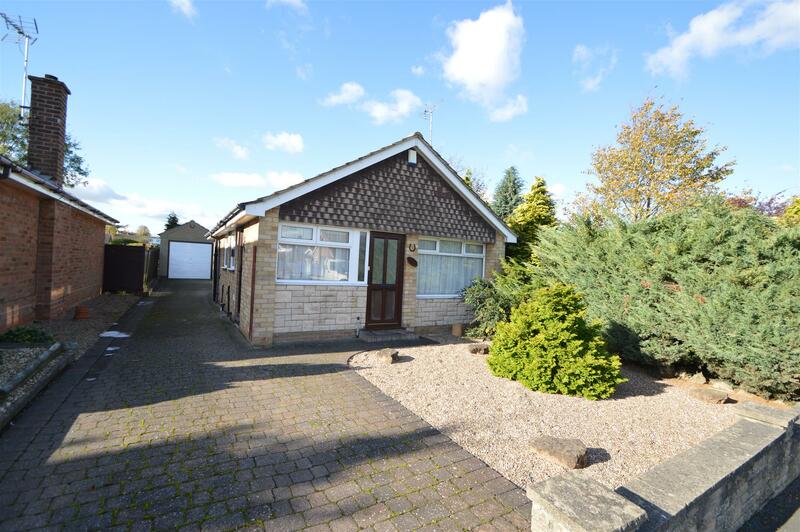 This detached bungalow is situated in a convenient location close to shops, leisure facilities and regular bus services to Nottingham City Centre and West Bridgford. It is also within easy walking distance of the Village Square and its associated amenities. With sealed unit double glazing, UPVC fascias and Soffits and a gas fired heating system from a combination boiler. With UPVC £ glazed front door, meter cupboard, telephone point, alarm system and sliding door to the kitchen. With floor and wall mounted kitchen units with working surfaces, single drainer, stainless steel sink inlay, part wall tiling, space and point for electric cooker, space and plumbing for washing machine, space for fridge freezer, radiator, breakfast bar and £ glazed UPVC outside door. With built in cupboard and access and ladder to insulated loft area. With radiator, built in wardrobe and cupboard with Glow Worm combination gas boiler and shelves. With built in wardrobe, cupboards over, radiator and window and door to garden / sitting room. With double radiator, double glazing with vertical window blinds and French doors to the rear garden. With white suite comprising panelled bath with electric Triton shower over, wash hand basin, low flush toilet, radiator, handrails and £ tiling to the walls. The gardens have been landscaped with block paved paths and to the front there is a dwarf stone wall, pebbled area and established conifer bushes. The larger rear garden is well screened and private, there is a block paved patio, lawn, feature circular raised stone flowerbed and established shrubs and trees. There is a substantial Garden Workshop/Store 9£9£ x 7£9£ (2.97m x 2.36m) with bench and fitted shelves. Block paved drive-in to the detached brick and tile Garage 19£0£ x 8£7£ (5.80m x 2.62m) with up and over door, rear personal door, electric light and power with separate fuse box.